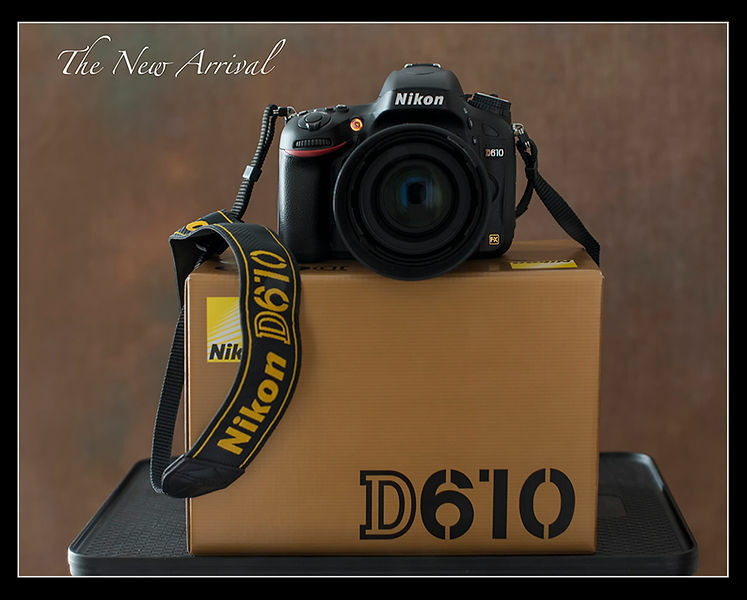 The Nikon D610 arrived by Royal Mail Parcelforce first thing this morning, so early in fact I was still in bed when the knock on the door came. I have to say the Postie seemed totally unimpressed by my early morning enthusiasm and un-phased to be greeted by this guy bouncing around dressed only in boxers when he asked me to sign for the parcel - I guess his day had started a whole lot earlier. I have been looking for a smaller and more portable camera for quite a while now, not a point and shoot model but something that was more grab and go than the pro bodies I own. One would think it quite a simple task with so many makes and models on the market - but when I sat down and thought about what I wanted to do with it and what I wanted from it - proved not so easy. The delivery marked the end of about an 18 month wait and a few weeks going back and forth with a mix of puts and takes on trade ins, part exchanges and special offers to get to the final price. - It is a Nikon. As a Nikon user for over 35 years I have an investment in the Nikon System and it’s proven reliability. The D610 is compatible with all my existing lenses, flash guns, accessories, some of which are over 20years old. - I has a stonking 24.3 MP FX full frame sensor and outstanding picture quality. - Light Weight (30oz,851.1g). I plan on using the Nikon 50mm f/1.4 G (9.8 oz, 278g) as the default lens, so a real light weight combination. - It is on the list of camera bodies considered “pro spec” under my Nikon Professional Services Membership and has a two year warranty. - The U1 & U2 custom camera settings and the WiFi options look interesting features. - I want to pick up my underwater photography again next year and I wanted a body that I could use in a Subal Underwater Housing and utilise all the Subal equipment I have had since film days. So the battery is now charged, the product registration is complete, next step is setting up the camera for my use and shooting some pictures. If anybody would like more info please feel free to get in touch. I bought mine from WEX Photographic.